Inflammation causes dozens of health problems ranging from the frustrating-but-not-fatal things like acne and psoriasis to serious diseases like cancer and heart disease. In fact, almost every serious disease is caused directly or indirectly by inflammation. The good news is that we can avoid most of this inflammation simply by modifying your diet to include anti-inflammatory foods. An anti-inflammatory diet is a fantastic options because there are so many to choose from that you’ll never get bored of eating this way. Celery is probably the most underrated vegetable around. At this point it’s known mostly as a great weight loss food because you use more calories to chew celery than you actually get out of it, but celery also contains high concentrations of antioxidants and anti-inflammatory compounds that help manage cholesterol and blood pressure levels. You can get many of the same benefits from adding celery seeds to your meals much the same way you would add hemp or flax seeds. Another highly underrated vegetable, beets contain high levels of potassium and magnesium, essential minerals that help reduce inflammation. Beets also have a large amount of calcium which makes it easier to digest both of these minerals. Broccoli is another vegetable with a high concentration of both anti-inflammatory ingredients and antioxidants, making it an excellent addition to any diet. Remember to only cook broccoli lightly as it loses over 50% of its nutritional value when too thoroughly cooked. Your broccoli should always be crispy. Blueberries contain a powerful combination of essential antioxidants, anti-inflammatories and other vitamins. They are one of the most nutrient dense fruits and a handful sprinkled into some unflavored yogurt makes a fantastic healthy dessert. Salmon is something of a miracle food. It contains vitamins D, B6 and B12 which are essential to maintaining a good mood as well as omega 3 fatty acids which reduce inflammation. It’s also an incredibly high protein food, helping you build muscles and maintain a healthy weight. All in all, salmon is a great addition to your diet—just remember to go for wild salmon and limit how much you eat to avoid ingesting too much mercury. Walnuts are some of the healthiest nuts out there, containing high concentrations of several antioxidants and omega 3 fatty acids. They also contain manganese, another anti-inflammatory. Eat about a quarter cup full of walnuts every day to get the best effect. Chia are becoming the next big thing in the health food world thanks to their high concentration of nutrients. They contain large amounts of omega 3 fatty acids and omega 6 fatty acids, which also have anti-inflammatory properties. Wondering what is the best anti-inflammatory herb? Turmeric is often recommended as a supplement to prevent the occurrence or worsening of arthritis thanks to its intense anti-inflammatory properties. You can buy turmeric supplements at most health stores. Ginger is a great accent for your food and it also happens to be one of the best anti-inflammatories out there. Stick with fresh ginger to get the biggest anti-inflammatory boost. Pineapples contain quercetin and bromelain, a combination that’s often used in supplements designed to reduce inflammation and related problems. They also have large amounts of antioxidants, potassium and magnesium. This makes them one of the most powerful fruits to include in your diet. Leafy green vegetables contain high concentrations of a variety of nutrients including vitamin K, a vitamin strongly associated with reduced inflammation. Go for spinach, chard or arugula instead of your normal lettuce for an incredible health boost—most of these vegetables contain at least twice the nutritional content of lettuce. 5. Artificial additives – think certain breakfast cereals that contain colour or are very sweet! For more information about how each of these impact, view this article from arthritis.org. 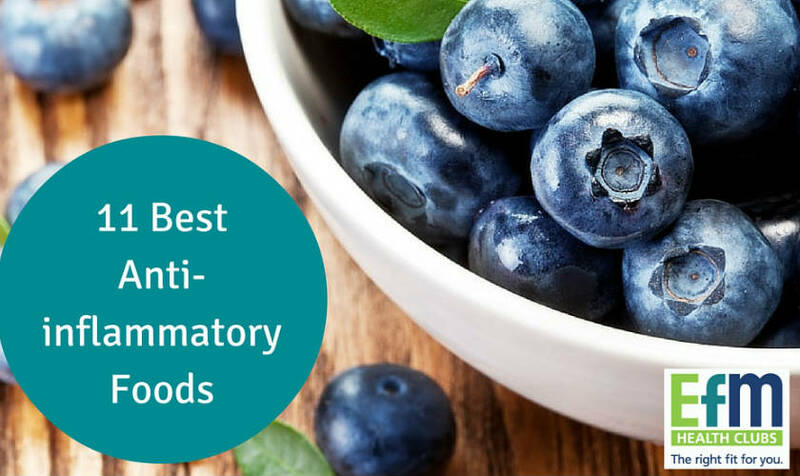 And actually, the list of foods that potentially cause inflammation is not surprising…. As you can see, all of those foods a processed or refined in some way. In general, the best types of foods are those that look exactly the way they are picked from a plant – natural! A great way to cut down on the refined foods you may be consuming a little too often is simply to increase the number of foods that are in a natural state. Also, focussing on adding rather than subtracting is far more motivating for your mind! Below are the best foods to add to your diet in general terms (perfect substitutes for refined foods). Of course, always consult a professional nutritionist or health professional for advice that is tailored to you individually because everybody is different!